Heather Anderson - Heather Anderson is a seasoned entertainment attorney, who has worked in various aspects of the music and media business. 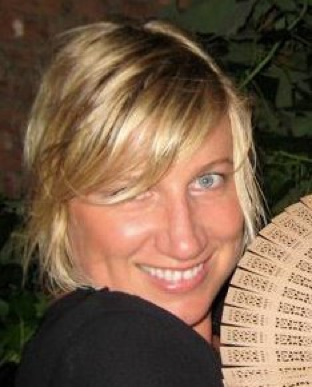 Formerly an attorney in the Business and Legal Affairs department of Interscope Geffen A&M Records in Los Angeles, Heather handled recording, production and license agreements for IGA artists such as 50 Cent, The Neptunes, Avant, Sheryl Crow, and The Pussycat Dolls. Prior to joining Interscope, Heather was Senior Counsel in the Intellectual Property department at Fox, handling copyright and trademark issues for all of the Fox companies worldwide (motion picture, television, sports, etc. ), particularly intellectual property issues online. Heather started her practice as a litigation associate at a major law firm. 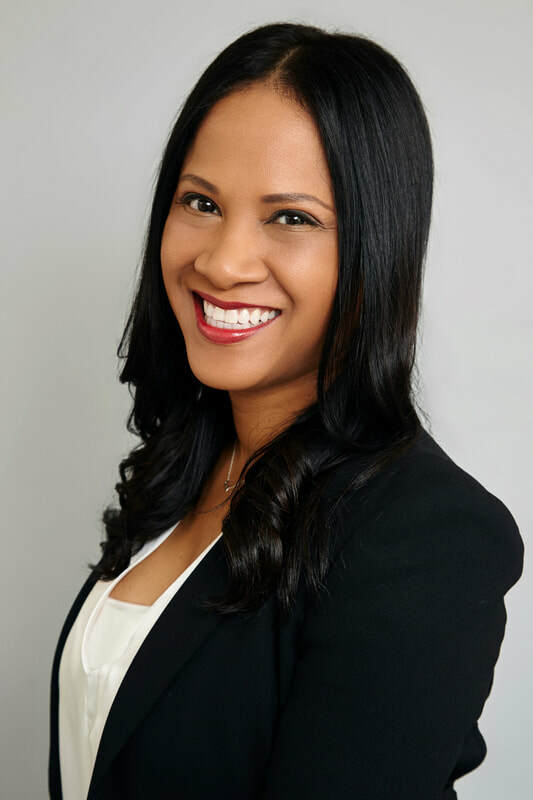 She is currently an interactive media attorney at a major media and entertainment company, where she specializes in production of short and long form content for the digital network and interactive experiences. Heather received her B.A. from UC Berkeley and attended law school at UCLA School of Law. Speak" by the band Emerson Drive. He has also written and produced songs for several major-network TV shows, commercials and video games. As a performer, Joshua has shared stages with some of the world's biggest stars, including Justin Bieber, Ed Sheeran, Slash and Mike Posner. Currently, he’s focused on writing, producing, and developing up-and-coming talent with JoLi. Jason Blume - Songwriter​. Jason's songs have been recorded by Britney Spears, the Backstreet Boys, the Gipsy Kings, Jesse McCartney, Collin Raye, the Oak Ridge Boys, John Berry, and more. His songs are on three Grammy-nominated albums and have sold more than 50,000,000 copies. In the last two years he's had three top 10 singles (all Gold records in Europe), and a #1 on the Dutch R&B iTunes chart, as well as landing a song on Hey Violet’s EP that debuted top-10 on iTunes in (22) countries and #1 in (5) countries. His songs have appeared in films and TV shows including Scrubs, Friday Night Lights, Assassination Games, Kim Possible, First Kid, Next Thing, Taking the Stage, Dangerous Minds, Kickin' it Old Skool, The Guiding Light, The Miss America Pageant, PBS Frontline, and more. Jason authored three bestselling songwriting books: 6 Steps to Songwriting Success, This Business of Songwriting, and Inside Songwriting. He runs Moondream Music Group, teaches songwriting all around the world, and recently contributed to a CNN segment on the state of the music business. "Hookman" Marlin Bonds - ‘Hookman’ is a lifelong musician, songwriter, and producer. He began to play the trumpet at a young age, and by the time he was a teenager he had discovered Jazz in a big way. Regional and State Jazz competitions led Hookman to receive full scholarships to University of Kansas City Missouri and William Paterson University, where he went on to receive a Bachelor’s degree in Jazz performance. 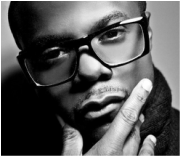 He wrote and produced his first hit single with Swizz Beatz, "Money in the Bank" from the "One Man Band Man" album. Currently based in LA, Hookman has been co-writing with some of the most accomplished producers, writers and artists in the business, including Chris Brown, Jason Derulo, Kelly Rowland, Enrique Eglesias, Karmin, Jordin Sparks, Hot Chelle Rae, Akon, and Jay Sean. In 2012 he signed 3 upcoming artists - AKA King, Mz. 007, and Heven - who recently signed with dance label Ultra Records. His creative vision for future endeavors extends beyond writing songs and work towards building an infrastructure where he can develop and Executive Produce new talent. Charles Brotman - Composer/producer/indie label owner​. 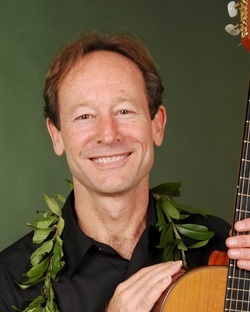 President of KMF and the Hawai'i Songwriting Festival, composer, Grammy award winning producer, and multiple Na Hoku award nominee and winner. He owns and runs the Lava Tracks Recording Studio and Palm Records on the Big Island, where he works with many local artists, including recent Grammy nominated albums for Sonny Lim and Kahulanui. His music placements in film and TV include Portlandia, Hawaii 5-0, Dateline, The Descendants, All About Steve, Oprah, Nickelodeon, Saturday Night Live, The Today Show, America's Most Wanted, Animal Adventures, Prime Suspect, and more. Mamie Coleman - SVP of Creative Music and Production at Fox Broadcasting Company. Ms. Coleman plays an integral role in producing and developing innovative program launches, marketing strategies and image campaigns for broadcast television’s number one network by creating the unique "sound" of FOX marketing. She works closely with TV studios, major record labels, production companies, recording artists, and agents to secure talent and production materials for FOX’s award-winning on-air promotional campaigns. She oversees day-to- day production of, and negotiates and executes the music and talent licensing agreements for all of FOX’s primetime show marketing and promotions. She successfully courts artists and music executives to provide fresh, hip new music for the network’s season launch elements. She pitched and negotiated deals for Fox shows like Beat Shazam, Showtime at the Apollo, Empire, Star, Grease Live, and Rocky Horror Picture Show. She co-produced two songs off the season 2 Empire soundtrack. The 2010 and 2011 “Billboard Women in Music” Awards recognized Ms. Coleman as #22 of the top 30 most powerful women in the music industry. Mamie was one of the top four nominees for the 2016 “Music Supervisor of the Year” International Music Industry Awards, and she has won a variety of Promax awards with her creative Fox team. 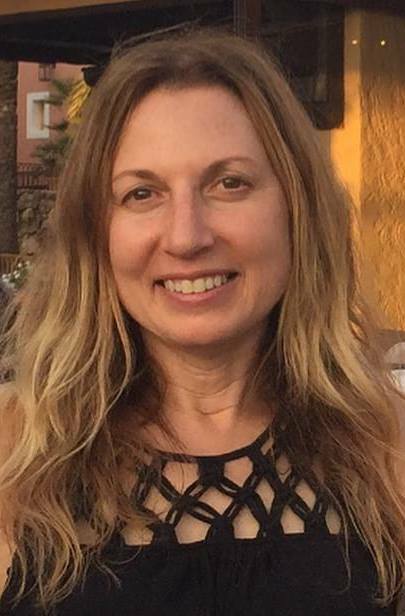 Susan Dolan - Music supervisor. 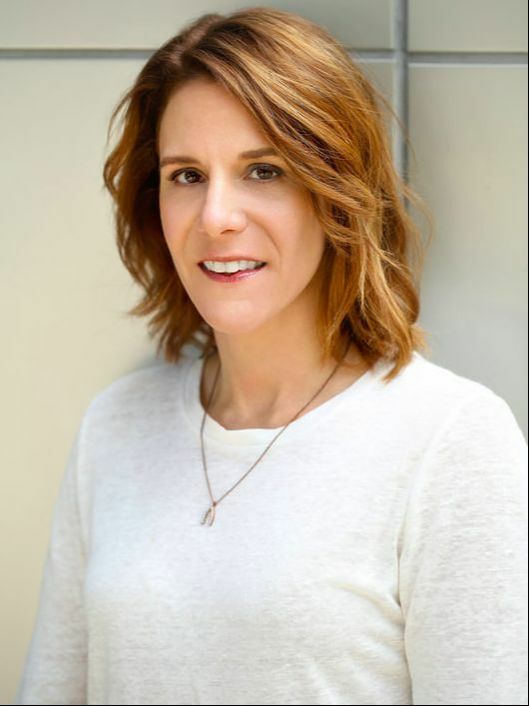 Susan Dolan is responsible for innumerable placements and licensing deals made in connection with Fortune 500 ad campaigns, network TV shows, and award-winning films. She has placed music in national ad campaigns for brands such as Nike, Target, Kia, Southwest Airlines and Honda, among many others. Her entertainment credits include Castle (ABC), Mercy (NBC), Life (NBC), and Men In Trees (ABC), as well as the film festival darling, Hank & Asha, which won the Audience Award at Slamdance in Park City, UT. Susan currently works independently and in partnership with Shindig Music, a newly found music production company focused on TV commercials and other branded content. 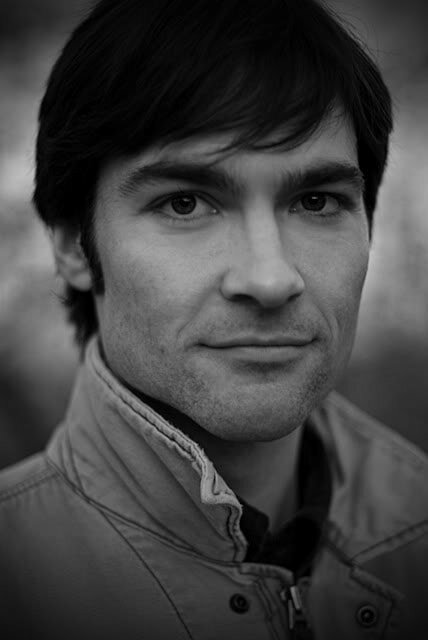 Michael Eames - Michael is a trained composer, songwriter and pianist with experience in film scoring. He studied music at Cornell University and UCLA Extension, and secured a minor in Business Management from Cornell. As President of PEN Music Group, Michael oversees all aspects of the operation and focuses on pitching the catalogue as well. Prior to starting PEN, Michael oversaw the international activities and film & television department of Don Williams Music Group where he was responsible for song catalogues such as Jimi Hendrix, Chicago, and Roy Orbison, among numerous others. He also worked previously for Brian Wilson of The Beach Boys and the management and music supervision firms The Derek Power Co and Seth Kaplan Entertainment. Michael is currently the second-term President of the Association Of Independent Publishers (AIMP) and serves on the Independent Publishers Advisory Council (IPAC) of the National Music Publishers Association (NMPA). Michael recently co-authored a book entitled FIVE STAR MUSIC MAKEOVER: The Independent Artist’s Guide for Singers, Songwriters, Bands, Producers and Self Publishers and is a frequent guest speaker in classrooms and panel discussions nationwide. ​Ehren Ebbage - Ehren is a BMI Film and TV award winner and Northwest Emmy nominated songwriter/composer. Now based in Oregon, Ehren has lived and worked in Los Angeles, Nashville, and Seattle and toured the US extensively both as a solo artist and as a member of Justin King and the Apologies, The Dimes, Krista Polvere, and Aqualung. Ehren’s interest in writing and production led him away from the stage and into the studio, and in 2010 he began writing music for media of all sorts. Highly prolific, he has written for dozens of TV shows and his music has been licensed for hundreds of productions. Today, his music can be heard daily in TV shows on every major US network and many others around the world. Recently, Ehren produced and performed a remake of the classic Earth Wind and Fire hit ‘Groove Tonight’ for use as the theme song for the top rated Fox show ‘Beat Shazam’. This year, his score for the Murrow award-winning PBS documentary ‘Mystery Sharks of Seattle’ was nominated for a Northwest Regional Emmy, and he composed the music for the PBS Digital promotional campaign. In addition to his song and score work, Ehren is a regular contributor to the catalogs of Marmoset, Warner-Chappell, and Vanacore Music. Lynn Grossman - As founder of Secret Road Music Services, Lynn has created a multifaceted entertainment company that has introduced artists like Ingrid Michaelson, Walk the Moon, American Authors, Andy Grammer, The Civil Wars, and Fitz and the Tantrums to the film / TV / advertising community. Secret Road’s roster of artists have been featured in numerous television series such as Grey’s Anatomy, This Is Us, Nashville, Elementary, Blindspot, and various ads by Google, Target, Cricket Wireless, Calvin Klein, Reese’s, Payless and more. Lynn was the music supervisor for the TV series HOUSE MD and the film Humor Me, starring Jemaine Clement and Elliott Gould. As her manager, Lynn has helped Ingrid Michaelson vault from an indie-pop sweetheart to platinum selling star. This year, Ingrid has made her Broadway debut in Natasha, Pierre and the Great Comet of 1812 and film debut in Humor Me, written songs for an animated feature film due out in 2020, and written and produced her own sitcom. Rich Goldman - Rich Goldman is President of RipTide Music Group, a leading music synchronization, publishing, and administration company in Los Angeles. He is also President of Pacifica Music, a modern genre production music library. He’s is a lifelong musician who has amassed a broad range of industry credits as a producer, composer, sound designer, and recording studio operator. RipTide Music’s “sync flavored publishing” credits range from the commercials for iPhone6s, Google Chromecast, Chase Bank, and Pepsi; movie trailers of Dr. Strange, John Wick 2, Rough Night, GET OUT! ; TV shows Ballers, Empire, and Lethal Weapon; films Concussion and Central Intelligence. With his wife Ellie, Rich started a rehearsal studio in Cincinnati and grew it into the legendary Fifth Floor Studios, where he collected gold records for his studio’s work with Sheila E, Prince, Midnight Star and Zapp. Rich is has been a speaker at various music events including ASCAP: I Create Music, PMA, Billboard Film & TV Conference, Game Developers Conference, British Sync Mission, Durango Song Expo and co- organized and moderated the MIDEM “Sync” panels from 2009 through 2015. Richard Harris - A published writer/producer with Peer MusicLA who has had Billboard, iTunes, and other chart-topping cuts around the world with artists like Katharine McPhee, South Africa’s Idol winner Elvis Blue, Anahi, Boh Runga, Sabrina Starke, Camera Can’t Lie, Shawn Hook, Tyler Shaw, Lead, Felix Cartal, Greg Cerrone, DJ Stonebridge, and recent #1 Billboard hit "Lie to Me" with Cole Plante. Co-writers include Grammy award winning and multi-million selling writers like Lazonate Franklin, Justin Gray, Erika Nuri, Mark Hudson, Pam Sheyne, Victoria Shaw, Gary Burr, Keith Follese, Jeff Franzel and Boots Ottestad. Richard's music can be heard in commercials and TV shows like Beauty & the Beast, One Tree Hill, Cold Case, Third Watch, The Closer, The Hills, Joan of Arcadia, Critic's Choice, and Cinematheque on CBS, NBC, ABC, FOX, The BBC, History Channel, Lifetime, MTV, Discovery Channel, TNT, and many others. Recent film credits include This Means War and Single Moms Club. Lisa Harriton - Lisa is a Grammy and Oscar-nominated songwriter, producer, keyboardist, and sound designer with deep roots in the Los Angeles music scene. The daughter of a film/tv composer father and studio-singer mother, she discovered her passion young. By the age of 8, she was already recording in the studio with industry vets. At age eleven, she propelled her music education even further by enrolling in London’s prestigious Royal Schools of Music, where she received a degree with honors in classical piano. Shortly after, Lisa received a scholarship to study at USC where she graduated with a Jazz Piano degree. As a keyboardist, Lisa has toured the world with several top artists including, The Smashing Pumpkins, Kesha, Adam Lambert. Always a songwriter at heart, Lisa and her writing partner, Joshua Bartholomew, co-wrote and produced the Grammy and Oscar-nominated song “Everything Is Awesome!! !” for the Lego Movie. Operating under the moniker “JoLi” they have written and produced songs for artists, film/tv and video games. 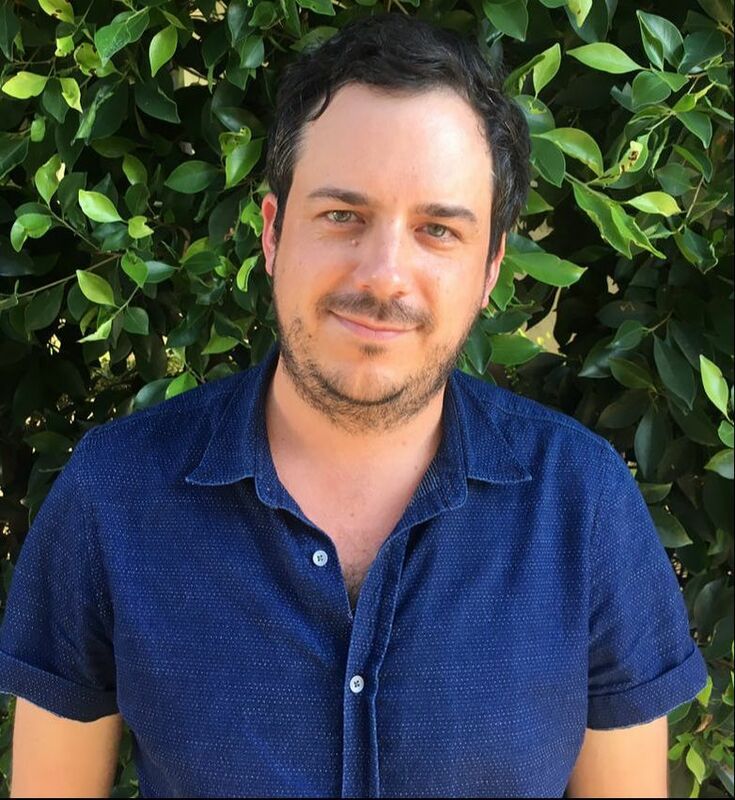 Daniel Higbee - Daniel is the former Head of Film/TV at Secret Road, a boutique music services company in Los Angeles, and since 2016, oversees creative / A&R and the newly founded record label. Hailing from Kansas City, Higbee traded his midwest Triple A radio job for a position at the Los Angeles sync company Sugaroo!, pitching artists like Ani DiFranco and record label Anti- for film, television and ads. On the side he freelanced for music supervisor Jennifer Pyken, assisting her with television projects Las Vegas and LOST. In 2009 he moved to Secret Road, where he helped sign and pitch a small and growing roster of independent acts and is currently the SVP of Creative. Tricia Holloway - Head of Music at Freeform (part of the Disney|ABC Television Group). Tricia is responsible for music elements across the company including music supervisors, composers, budgets, theme songs, original music creation, on-camera performances, soundtrack releases, strategic marketing tie-ins, music talent tie-ins, campaigns, promos, delivery, and new business; servicing the creative music needs of all departments and coordinating the business side. She’s always on the hunt for artists/songwriters/producers whose vibe will work with Freeform. Tricia also oversees a boutique collection of songs from indie artists known as PGM (name change coming soon), where she sources indie artists for one-off song deals, developing a concept for song direction in alignment with Freeform projects, securing placements throughout series and promos. When major placements are secured, she coordinates snipes, chyrons, and shout outs to the Freeform social army, which total 70 million active followers (Freeform is consistently the #1 socially active network in the US). 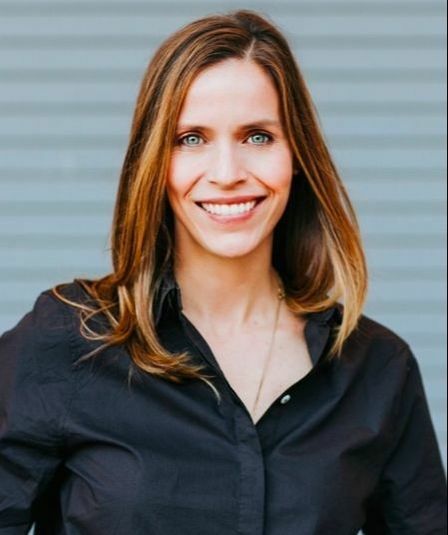 Tricia was previously an independent music supervisor and principal of music supervision company Path Music and an Executive in Charge of Film Music at Lionsgate. 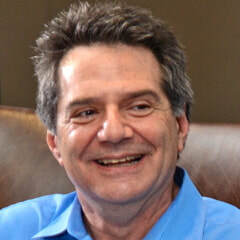 Michael Laskow - As founder and Chief Executive Officer of TAXI, Michael is in constant contact with top executives at major and top indie record labels, music publishers, as well music supervisors working on film, TV and advertising projects, production music libraries, and video game music executives. While Michael may be best known for pioneering the most effective filter for identifying and connecting the world’s best, independent artists, songwriters and composers with music industry decision makers, his history in the music business dates back to the mid 1970s when he worked as an recording engineer/producer on gold and platinum records with artists such as Neil Young, Firefall, Melanie, Cheap Trick, Eric Clapton, Crosby, Stills, Nash & Young, and many, many more. Laskow is recognized as a leading authority on all aspects of the music industry, and has moderated or spoken on panels at virtually all of the top music conferences and seminars in the U.S.
Kenneth Makuakāne - Recording artist/producer. Ken has over one hundred albums to his producing credits, including his exceptional solo releases. A prolific songwriter, Kenneth’s compositions have been recorded by local artists like the Brothers Cazimero, Nā Leo, Kapena, the Pandanus Club, Amy Hānaiali‘i Gilliom, Loyal Garner and Gary Haleamau, as well as international artists from Japan like Yuri Chika and Yuki Miyamae. His songs have even been performed many times over at the annual Merrie Monarch Hula Festival. He produced a track on Kenny Loggins 2000 CD release More Songs from Pooh Corner. And his music has been on the soundtrack of major films like “Honeymoon In Las Vegas” and “Parent Trap In Paradise.” He has received a total of 14 Nā Hōkū Hanohano Awards, including a 1992 award for his solo, religious album, Conversations With My Heart and Producer's awards in 1990, 1996, 1997 and 2000, and Song of the Year in 2000 for "I Miss You, My Hawai‘i." Kenneth was inducted into the Kamehameha Schools Alumni Gallery Hall of Fame and the Hawaiʻi Academy of Recording Arts Hall of Fame as its Lifetime Achievement Award recipient, and won the Composer of the Year award from Kamehameha Schools. attended and graduated from the University of Texas at Austin, and in addition to receiving an excellent education in the areas of psychology, advertising and business, he participated in countless music events that the city and state had to offer. Becoming friends with many musicians and music venue owners provided Chris with a unique perspective of the behind the scenes challenges and business aspects of music. To further expand his knowledge of the music business, Chris worked with bands in management, production and promotional capacities. After graduation, Chris moved to Los Angeles, California to pursue a full time career in music and entertainment. Chris has worked as a music supervisor on over 700 television episodes and over 30 films, including the CW'sThe Vampire Diaries and The Originals; ABC Family/Freeform Television's Pretty Little Liars, Famous in Love, Greek, Chasing Life, Kyle XY, and 10 Things I Hate About You; and feature films Get Out, Bad Words, The Family Fang, The Box, I Hope They Serve Beer in Hell, The Haunting of Molly Hartley, and many more. 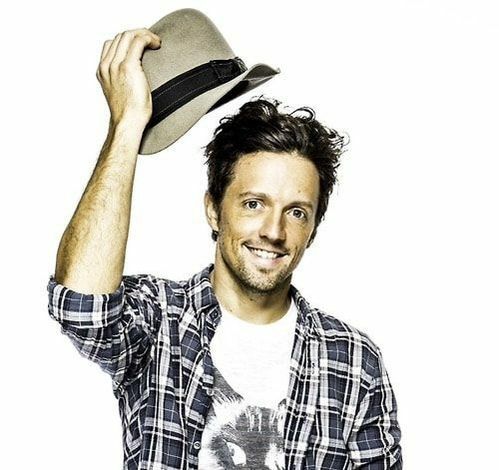 Jason Mraz - Jason Mraz is a Grammy award winning singer/songwriter and certified yoga instructor. He sits on the board of the ASCAP Foundation and is the chief creative officer of his own Jason Mraz Foundation which serves to uplift humanity through the advancement of equality and arts education. His musical works have been recognized by the Songwriters Hall of Fame and the Environmental Media Association for their positive impact on the world. Originally from Mechanicsville, Virginia, Jason is an advocate and practitioner of climate mitigation through regenerative agriculture. He resides in San Diego, CA where he continues to make music alongside operating a small organic fruit farm with his wife, Christina. Frank Palazzolo - Music Supervisor​. Frank Palazzolo made his way from New Jersey to Los Angeles in 2005, where he began his music supervision career in the Universal Pictures Film Music department. 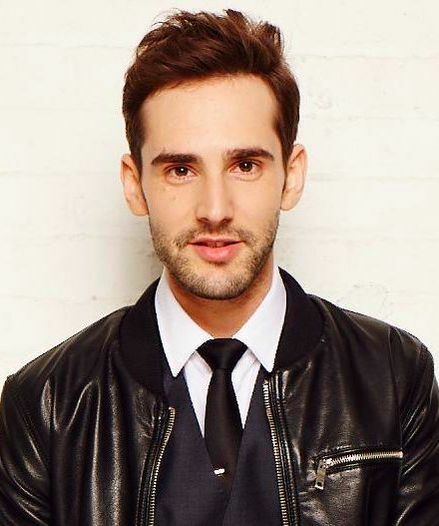 After leaving Universal, he went on to work with KCRW DJ and Music Supervisor Liza Richardson at Mad Doll Music, where he has worked on over 1,000 TV show episodes and 5 films, including a win for "Best Music in Film" at the 2011 Nashville Film Festival. Some of his most notable projects include The Path (Hulu), The Leftovers (HBO), Hemlock Grove (Netflix), Scorpion (CBS), Graceland (Fox), and Rise (NBC) which will be coming in 2018. Frank is also a successful songwriter and producer with placements in various television shows, two major motion picture film trailers and the Orange Is The New Black Season 4 announcement promo. Dinah Perez - ​Ms. 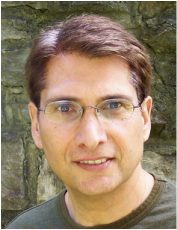 Perez graduated Loyola Law School and has been in the practice of entertainment law since 1996. Her areas of expertise include music, copyright, and trademark law. She enjoys entertainment law because she has great respect for the arts and those who create. Most especially, she appreciates helping clients manifest their dreams. 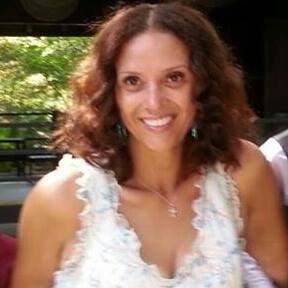 Ms. Perez has been published in manypublications including Story Board Magazine, Release Print, Script Magazine, The Screenwriters Guide to Agents and Managers, A Hollywood Screenwriting Directory, and Hollywood Producing Directory. Ms. Perez has been quoted in Alone In A Room, Entertainment Weekly, and Wired Magazine. She has been interviewed by KNX Radio and appeared on Sin Fronteras and El Gordo y La Flaca with her client, Jenni Rivera (Telemundo). Ms. Perez has spoken at events for ASCAP, Black Hollywood Film Festival, Beverly Hills Bar Association, Latin Heat Film Festival, Women in Film, Screenwriters World Conference, Screenwriters Network, Chapman University, and many more. She is a member of the California State Bar, California Copyright Conference, Beverly Hills Bar Association, Association of Independent Music Publishers, Songwriters of North America, and Film Independent. Steven B. Ray - Steven started as a roadie for Sammy Davis, Jr.'s summer tours. 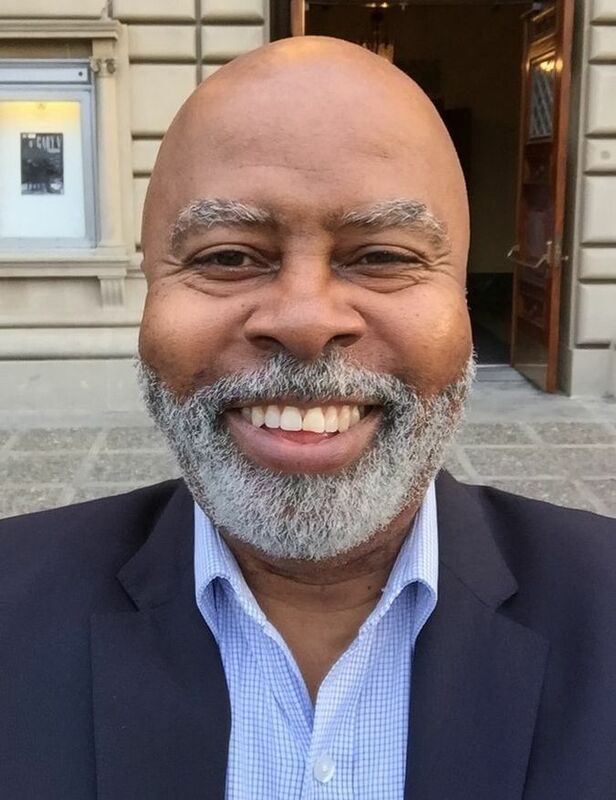 After college he was Quincy Jones' production assistant and participated on projects like Michael Jackson’s album “Thriller,” “We Are The World,” James Ingram’s solo debut album, Frank Sinatra’s “LA Is My Lady,” and the film, The Color Purple. Steven went on to Capital Records, where he was a senior executive in A&R and the first person of color to run their New York office. He also oversaw recordings for Freddie Jackson, re-mixes for Duran Duran and The Pet Shop Boys, and the signing of Bebe & Cece Winans and MC Hammer. 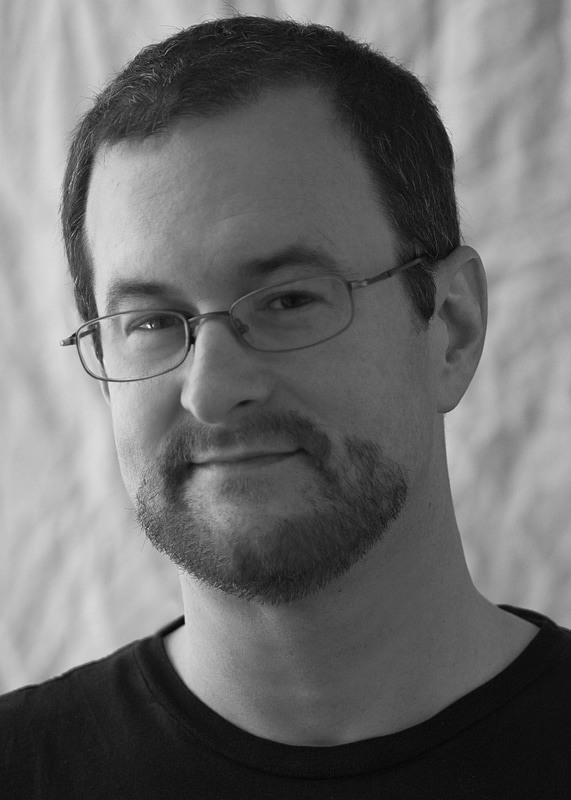 Steven later worked at Windswept Pacific Publishing as a creative executive, staff writer & music supervisor. He signed writer/producers Manuel Seal (co-writer on Mariah Carey and Usher hits), Quincy Jones, III (co-writer/producer for TuPac, Ice Cube and The Fresh Prince of Bel Air theme) and the co-venture with LA Reid’s publishing company, HitCo Music (which spawned hits for TLC, Anita Baker, Destiny’s Child, and numerous Beyonce solo hits). As a music supervisor, Steven provided support for feature films Havana and Forrest Gump, and was nominated for the Best Film Music Sprit Award for "Hangin' with the Homeboys." 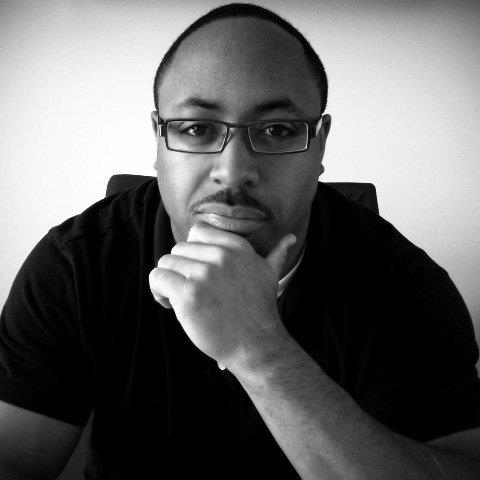 His current focus is management for hit songwriter, Andre Merritt (see above - Andre is on the HSF staff too!) and Danish singer/songwriter Viktoria Hansen (co-writer on Brandon Beal's “Paradise” and Krewella's “Calm Down”). 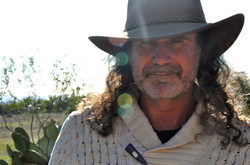 Allan Rich - ​Songwriter​. Allan is a two time Oscar, Grammy, and Golden Globe nominated songwriter whose songs have sold over 65 million copies. He has co-written hit songs like “I Live For Your Love” by Natalie Cole, “I Don’t Have The Heart” by James Ingram, “Run To You” by Whitney Houston (from the 45 million selling Bodyguard musical soundtrack), "For The First Time” by Kenny Loggins (from the movie One Fine Day), "I Drive Myself Crazy" by N Sync (sold 10 million units), “Before I Fall In Love” from Runaway Bride, #1 dance singles “Stronger” and “Walk Away” by Kristine W, and a #1 in Italy with Italian superstar Georgia. His songs have been recorded by Barbra Streisand, Tina Turner, Rod Stewart, Luther Vandross, Patti La Belle, Gladys Knight, Chaka Khan, BeBe and CeCe Winans, Ray Charles, Dolly Parton, Oleta Adams, Barry Manilow, Peabo Bryson, Toni Braxton, Charice, Keb 'Mo, and many others. Other credits include two songs on the TV show Dance Moms, the end title "After the Rain" for the movie Playing for Keeps, and the song "Vinceremo" for the Juno winning group The Canadian Tenors. He’s been very fortunate to have had the same writing collaborator Jud Friedman, for over 25 years. Jerome Spence - On July 2, 2017, we were all shocked to hear that Jerome Spence suddenly and unexpectedly passed away. Jerome was about to join our staff for the third year in a row, and he was a treasured member of the Hawai'i Songwriting Festival 'ohana and the music community at large. When he passed, he was Senior VP of music publishing for Chaka Kahn Enterprises. Before that, he worked at Secret Road Music Services, Peermusic, Position Music, and Arista Records. Jerome was a role model, mentor, and friend to many songwriters and others in the music industry, and he is already sorely missed by us all. Our love and aloha goes out to all who have been affected by this loss. You can read his obituary in Billboard here. Amy Stroup - Amy Stroup is a Boston born, Abilene, Texas raised independent artist living in Nashville who has had her songs featured on more than 30 TV shows including This Is US, Parenthood, Grey’s Anatomy, Private Practice, Vampire Diaries, and The Walking Dead, plus national ads for Calvin Klein, New Balance, Lexus, & more. Amy has released 3 digital EPs and one nationally distributed full length solo album, "Tunnel." 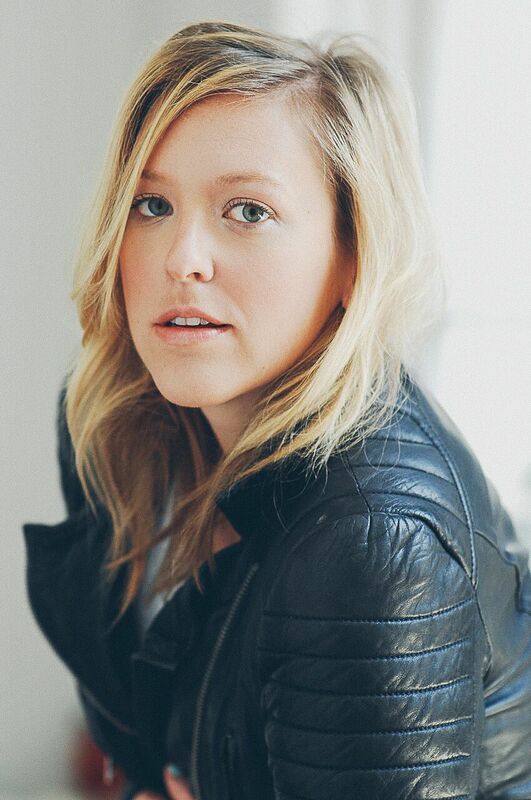 She is the newest member of the TEN OUT OF TENN tour where she is featured along with Andrew Belle, Katie Herzig, Trent Dabbs, and more. Recently, Amy released a single called 'This Is My Time’ featured on NBC’s hit show This is US that she penned with Mary Hooper her creative partner and co owner of their design boutique Milkglass Creative. Milkglass does artist branding & design for Chris Stapleton, Little Big Town, Ingrid Michaelson, and Lori McKenna to name a few. Strop and Trent Dabbs released Sugar & The Hi-Lows, a self-titled band project that was well-received by Billboard, USA Today, Marie Claire, and others. She tours with Sugar and The Hi-Lows and has shared this stage this year with Chris Stapleton, Kings of Leon, Kacey Musgraves, Ingrid Michaelson and more. Mikey Wax - Mikey Wax is a singer/songwriter from New York and is currently based in Los Angeles. His uplifting pop/rock single "You Lift Me Up" has over 8 million Spotify streams and has been used in several prominent TV syncs including a Keeping Up With The Kardashians promo commercial and multiple NBA games on FOX Sports. His latest single "Helium" has received national radio airplay on SiriusXM Pulse, has over one million Spotify streams, and was part of a large online ad campaign for Hollister clothing. Other recent syncs include a United Airlines ad, Caitlyn Jenner’s “I Am Cait” promo, and So You Think You Can Dance on FOX. Mikey has toured the country with artists such as Rachel Platten and Parachute, and currently hosts over 800K social media fans. A Billboard Heatseekers charting artist, Wax has been recognized by iHeart Radio as an "Artist To Watch”. Ryan Wines - Indie licensing​. Co-­Founder and CEO of Marmoset — a full-service music agency based in Portland, Oregon, specializing in music licensing and original music production for brands, film, and TV. Ryan co-pilots Marmoset's creative teams and spends most of his time studying people and human systems - constantly deconstructing the status quo, pushing boundaries, and searching for a better way to lead and nurture people. A fiery advocate of creators, makers, and artists, Ryan gave a TED Talk about "leading creatives amidst a modern landscape" and has traveled far and wide sharing his ideas and experiences on topics of music, branding, and leadership at places like TEDx, SXSW, CMJ Music Festival, and beyond. Under Ryan's leadership, Marmoset landed on the Inc. 500 List, ranked #6 in "The Fastest Growing Private Companies in Oregon," ranked in "The 100 Best Places to Work in Oregon," among many other awards and accolades. Ryan also maintains a journal at Nurture Theory, where he shares some of his more fascinating and impactful experiences, specifically focusing in on a new way of leading and achieving high performance among teams of people, and is currently pursuing related coursework at MIT and The Wharton School of Business at the University of Pennsylvania. Adam Zelkind - Eight-time award winning songwriter/composer/producer with credits on feature films and over 775 hit television episodes, including shows like Rock of Love, Flavor of Love, I Love Money, Real Chance of Love, The Surreal Life, From G's to Gents, I Love New York, Charm School, My Fair Brady, Out Back Jack, and Next Action Star. 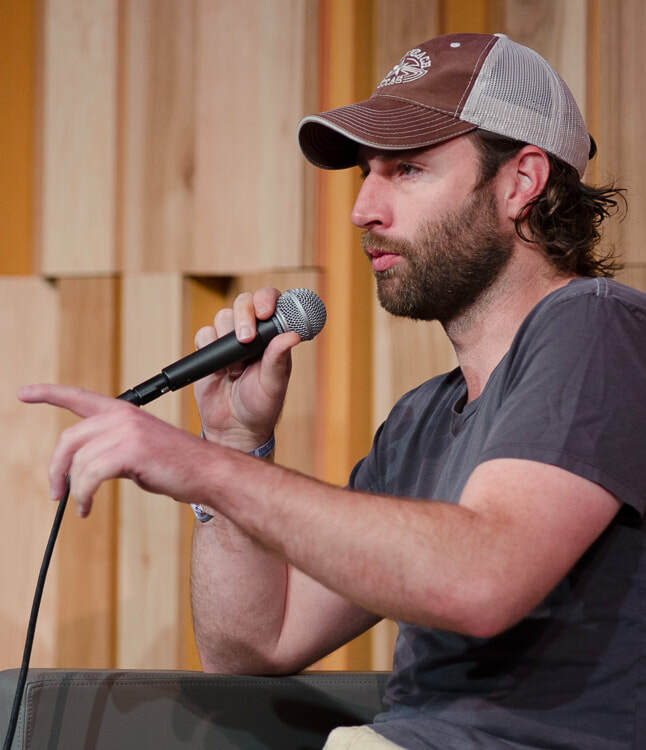 He has had 20 songs on Hart of Dixie alone, and he co-wrote and produced "My Favorite Show" with The Crazy Z's - an end titles feature on HBO's The Leftovers. 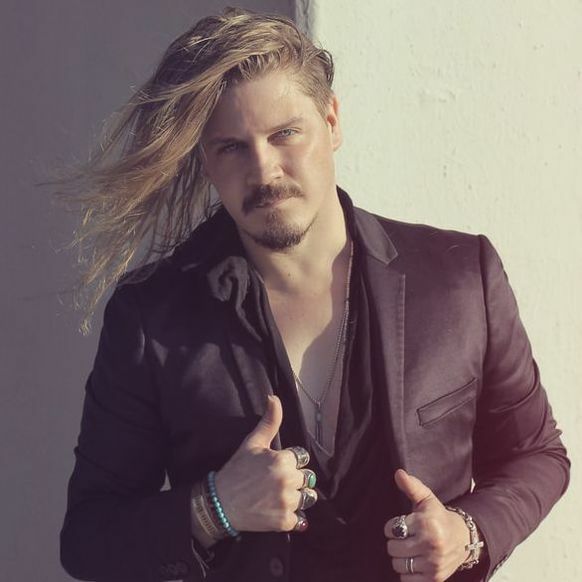 Many of his songs can be heard in recent films including the critically acclaimed film Disconnect and Marine Home Front, No Manches Frida, and the soon to be released feature film An LA Minute. His awards include ASCAP’s Most Performed Music on Television for two consecutive years. He has worked with artists and writers such as, Chris Gelbuda, Kristian Bush (Sugarland), Bret James, Glen Phillips (Toad The Wet Sprocket), Big Al Anderson, Josh Kelley, Walt Aldridge, Darryl Worley, Gary Burr, Ashley Gorley, Josh Kelley, Meghan Lindsey (The Voice & Steel Magnolia), Sara Watkins (Nickel Creek), Sara Lee Guthrie & Johnny Irion, Will Champlin and Dustin Christensen (The Voice), Tom Higgenson (Plain White T’s) and this year co-wrote a #15 song on the Spotify pop charts “Viral” with Marlin Hookman Bonds for James Graham.